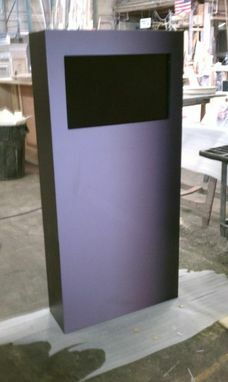 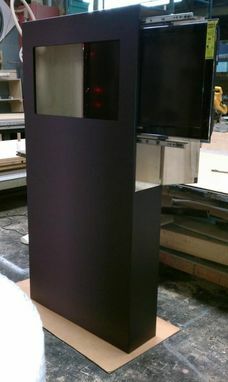 These TV display enclosure where made for 6 Calvin Klein across the country. 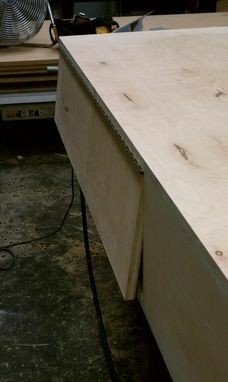 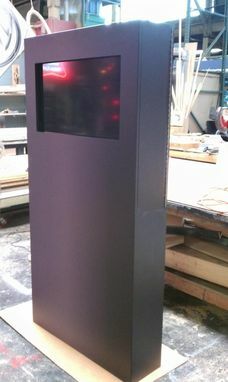 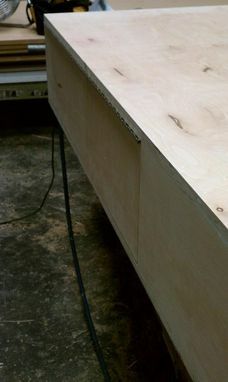 Custom cabinet grade plywood enclosure with handle less trap door, two top port holes for ventilation and a bottom port hole for running wiring into the TV display enclosure. 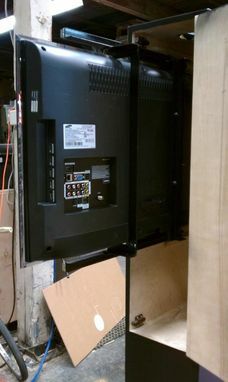 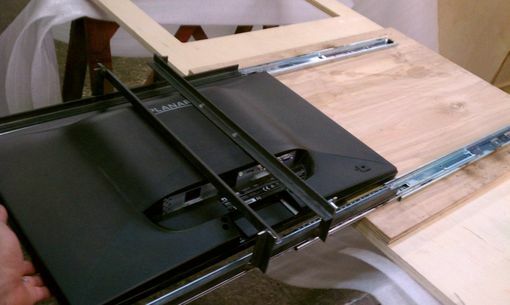 The TV is held in places by a custom sliding TV support I made to allow the TV to be pulled out for wiring and maintenance. 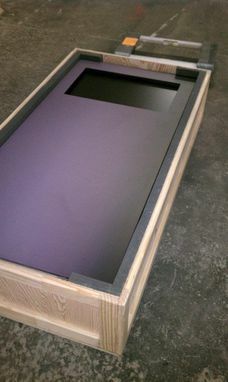 The TV enclosure is wrap in a vinyl print.